Today we’d like to introduce you to Keisha Greaves. I started Girls Chronically Rock was inspired by myself because I was diagnosed with Muscular Dystrophy back in 2010 while I was in graduate school receiving my MBA degree from Cambridge College. I wanted to create something with the word chronic in it but still sounded unique, fun and creative at the same time. One day I thought of the name Girls Chronically Rock and it just stuck with me and I fell in love with it and I knew I wanted that to be my business name. I wanted something unique creative and inspiring to motivate others who may be battling a chronic illness or just going through something in their everyday life. I want everyone to join the GCR movement today and bring awareness about the brand and also Muscular Dystrophy Awareness. Owning your own business you can always come across struggles with finding out what works and what doesn’t. You always want to make sure you know what the customers want and what attracts more to a certain individual. Girls Chronically Rock business is still new and I am still learning each day about what I can do better to progress and improve with my business. I know owning your own business it will have many struggles/obstacles along the way but at the same time I know it will all be worth it, with just owning my business and being my own boss is something I’ve always wanted to do because I always been my own individual and I never liked anyone telling me what to do. Of course, I would like to bring in more sales in my business, but again I know it is still a working progress and I am still trying to figure things out each day and will make Girls Chronically Rock a successful business and everyone will know about it. Girls Chronically Rock LLC – what should we know? What do you guys do best? What sets you apart from the competition? I am the owner of Girls Chronically Rock LLC. I own this business by myself with no one else. I’ve invested all of my money into my business with marketing, hiring PR consultants, media platforms and many more. I want to take my business to the next level and I am willing to do whatever it takes to make sure GCR succeeds and gets to where it needs to be. My business is to help inspire and motivate others who may have a chronic illness and need that extra push and inspiration to strive and do what they have to, no matter what they may be going through. My apparel line consists of many different inspirational meaningful quotes with a different meaning, the two most popular ones are” Trust Your Dopeness” which means to trust and believe in yourself and trust your instincts and you can accomplish anything you want. I have another one “Hello My Name Is Chronically ILL Badass” which means we are powerful and strong and we are badasses regardless if we have a chronic illness. They are many more designs I have on the website for everyone to connect with. I just recently added some bracelets on the website, rubber band bracelets and metal gold, copper, and silver with some of the same quotes from the t-shirts. I plan to add more merchandise to my Apparel Line such as tote bags, tanks, sweatshirts and more. I am known for being a fashionista, always being unique and did my own way of style and putting outfits together. I am most proud of not giving up on my dreams with my business and continuing to pursue my passion and always thinking of the next big adventure to add under the Girls Chronically Rock umbrella. I have so many ideas I want to do, but I have to be patient and take my time to make sure everything comes together when needed. I am also very proud that I officially received notification for Girls Chronically Rock trademark and copyright purposes that everything was approved and the name is officially mined so I am so thrilled about that. 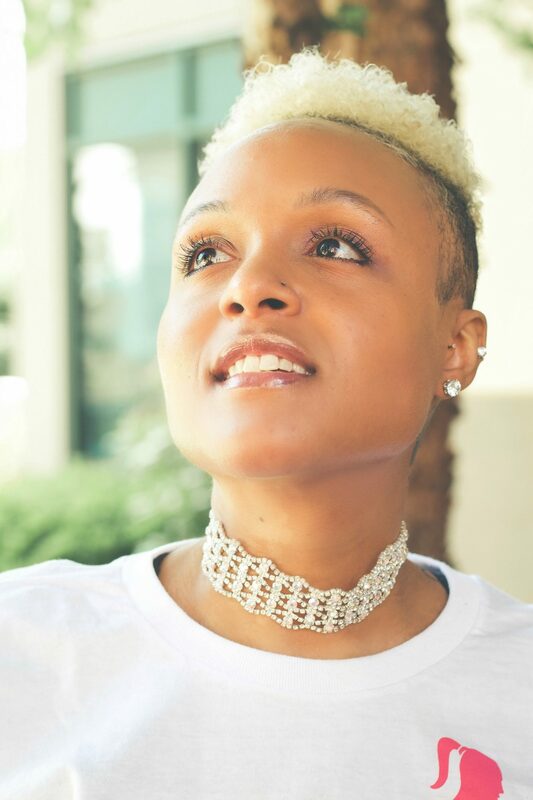 I feel like my business alone is unique and different than others because I have a different, inspiring story behind it and why it got started and I feel that will connect with others and for them to hear my story will inspire them to want to learn more about my brand and buy one of my t-shirts. My proudest moment was receiving confirmation for my trademark and copyright services for Girls Chronically Rock, so the name is officially mined and I could not be more excited and proud of this achievement and this just motivates me even more to strive and continue to succeed at my Girls Chronically Rock Business. Another proud moment was I did my first pop up shop on May 29th at PapaGayo in Somerville MA which was put on by Jackie Zuk from Next on Scene. We had a great time, it was a great time, and I made some great sales. It was a proud moment for me because people liked my shirts, and was inspired by my story behind the name and wanted to learn more. I was able to meet and connect with other individuals I did not know before and made some great connections that I know will help me with my business along the way, so I am very honored and happy about that. Another proud moment is that I am just continuing to work hard, getting my brand name out there and continue to network, make some great connections and bring Girls Chronically Rock to another level with bigger and better things. 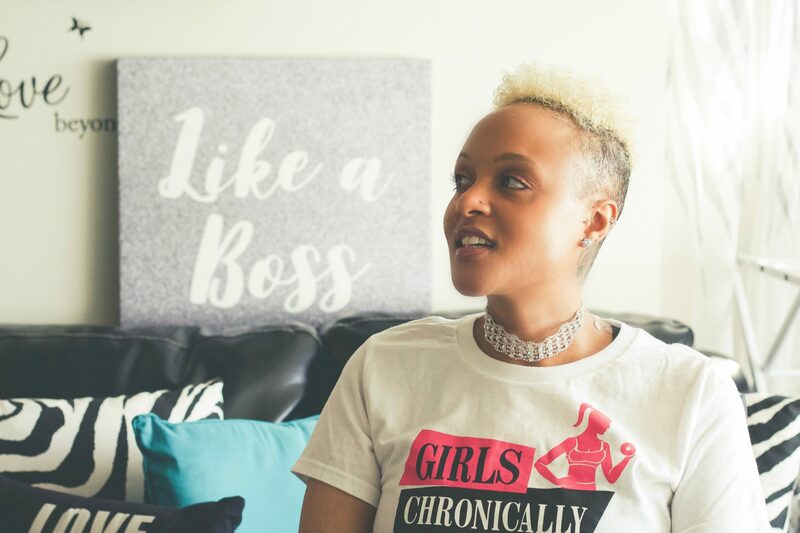 Each month Girls Chronically Rock LLC, gives a percentage of proceeds to the Muscular Dystrophy Association to help find a treatment cure for this muscle disease.